With large segments of our Navy and some Air Force out to sea engaged in a never ending set of war games, designed to keep the ships and planes out of harm’s way of a presumed EMP attack, NOTHING is being done by this administration to protect against a cataclysmic EMP attack. President Obama has left our Southern border open to invasion from possible terrorists since early May of 2014. We are exposed to new and deadly diseases never seen before in the United States. MS-13, the Sinoloa and Los Zetas drug cartels, with the material support of Hamas are streaming into the country, unabated. Many of our leaders, past and present have warned us that our greatest threat comes from an EMP attack. Again, Obama continues to go to the golf course with no worries, no investigation and most importantly, no plan! 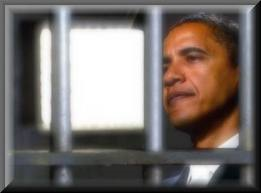 When do sins of omission become the impetus for impeachment, conviction and sentencing this despot to prison? This inaction must be deliberate. With all the publicly available information about the real and devastating possibility of an EMP attack, and he does nothing? This cannot be a coincidence. New readers to my column may wish to review who indeed Barack Hussein Obama truly is from a previous, well-documented research presented here. Once you grasp this man’s background and his family’s past and present affiliations, there can be no doubt as to where his loyalties die. And everyday Congress allows him to remain in office, is one day this nation gets pushed closer to its final resting place. President Obama and his former director of the State Department, Hillary Clinton, gave more bodyguard attention to the late Ambassador Christopher Stevens than Obama is to protecting America and its most precious assets from an EMP attack. My Congressman, Trent Franks, as well as Congressman Pete Sessions, have been at the forefront of a small chorus of congressional voices who are demanding Obama take the necessary protective steps of hardening our most precious assets, namely our power grid. In particular, Franks has written letters to anyone in a position of authority who would be willing to listen to his concerns about a possible EMP attack. On November 6, 2013, Congressman Franks wrote a very pointed and blunt letter to Frederick Gorbet, the Chairman of the Board of Trustees for the North American Electric Reliability Corporation (NERC). Franks jointly addressed his letter to Gary Cauley, the President and CEO of the same organization. Inexplicably and irresponsibility, Gorbet did not respond to the Franks letter. 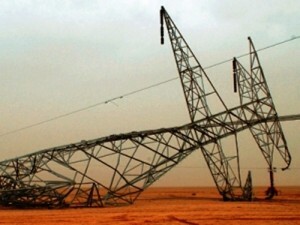 Yet, after the attack which disabled the entire power grid to Yemen in the Wall Street Journal, FERC chairman John Wellinghoff stated that a similar attack would “Destroy nine interconnection substations and a transformer manufacturer and the entire United States grid would be down for at least 18 months, probably longer.” Also, a reminder, in the past 18 months, and as recently as August 27, 2013, former Homeland Security director, Janet Napolitano, stated very clearly that it is not a matter of “if” the power grid goes down, but “when” the power grid goes down! In the letter, Franks points out that on “October 27, 2013, National Geographic aired a docudrama entitled American Blackout. The film showed what our countrymen and nation would experience in the event of a cyber attack on the US bulk power distribution system and a resulting shut down of the grid for 10 days. If anything, the serious hardships, dislocation, physical destruction, deaths and societal breakdown portrayed in this docudrama are likely understated. Franks has produced a video that was played in which he said an EMP take down of the grid would result in 60% of Americans dying as a result of the event. Franks’ video was likely too conservative in the casualty projections. The Naval War College puts the death rate at 90%. The entire Franks’ letter can be accessed at this link. Top scientists and knowledgeable politicians (e.g. Congressman Trent Franks) tell us that it would cost the nation alone up to $2 trillion in the first year. It could take four to 10 years to recover and would fatally impact 90% of the U.S. population, meaning widespread starvation and death. Yet, experts tell us the cost to harden the electrical grid would cost no more than $2 billion, several times less than the cost of a single bail out paid to the bankers. What could possibly explain this inaction on the part of the Obama administration especially after they planned for this event? And why were our enemies, the Communist Chinese, given a front row seat when this event was practiced on November 13-14, 2013 at the Grid Ex II? Why are we allowing the Chinese Solar Energy Zones to be constructed next to major energy sources such as hydroelectric and nuclear power? The treasonous implications are so obvious that Ray Charles could see what is coming. When the moment of the EMP attack occurs, what will America look like a few seconds later? In one of the most dramatic effects, airplanes would fall from the skies. Untold thousands of people would immediately be plunged to their deaths. And their deaths might be considered merciful compared to the fate that the majority of the rest of us would face over the next two years. Most automobiles will not work unless they have all pre-electrical parts. Even then how long would gasoline be available? Many people on the various subways, would be hopelessly trapped depending on the time that an electromagnetic pulse would be released. America would see catastrophic conditions immediately take place in our hospitals and convalescent centers. Within a few days, old age homes would lack the resources and services of the staff to help preserve the lives of those who are virtually helpless. Patients on the operating table would stand a good chance of not surviving. Hospital backup generating systems would be rendered unusable. Food and water would become a scarce resource. Many hospital personnel would walk off the job by the beginning of the third day. The only medical personnel that would stay would be those that work too far away from home to walk. People would not be able to get their life-sustaining medications. Your cell phones, your land lines, text, twitter, emails and faxes will not work. Nearly all broadcast stations, especially television stations, would go off the air. Due to the high level of computerized automation, the equipment in most radio and television studios would be so completely destroyed that most commercial stations would be damaged beyond repair. Radio studios are actually more vulnerable to permanent damage than many portable radio receivers. When America emerges from the event, the NSA police state surveillance grid would be permanently in place for the extreme martial law dictatorship that will follow. According to a statement of Damon Penn, a DHS official, made to a committee of the U.S. House of Representatives on July 8, 2011, a limited number of critical radio stations are being retrofitted with some EMP protection. However, most of us will be without the benefit of mass communication. Somewhere between 250,000 to 500,000 people will die in the first few minutes. Perhaps as many as 1-2 million would be dead within three days. The greatest threat to human survival, in the aftermath of an EMP attack, is the public’s availability to obtain clean drinking water. This access would be greatly imperiled. In 2010, when Haiti was hit by a major earthquake which killed over 200,000 people, the misery did not stop with the survivors. Six weeks following the earthquake, Haiti announced its first cholera outbreak in over a century. The cholera outbreak went on to claim 8,000 more lives. The disease thrives in places where there is insufficient water treatment, poor sanitation and inadequate hygiene. 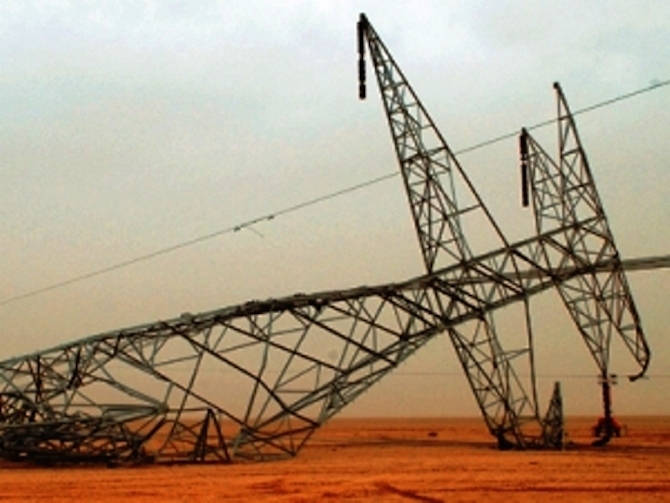 This is what precisely would happen in most areas following an EMP attack. Keeping drinking water clean and separate from human sewage and other contaminates would prove to be humanity’s biggest challenge. Cholera would also prove to be the biggest threat to long term survival. It is likely that in the 24 months following the event, that most people would succumb to cholera and other water-borne diseases. Cholera is a horrible disease which grants its victims a very painful and agonizing death. Human beings require approximately 2 Liters of water per day in order to survive. If we do not get that water, we will die in approximately 5 days. With regard to an EMP attack, our water supplies are especially vulnerable. The power to distribute water is highly concentrated within the United States. Only eight municipalities provide 82% of the drinking water in the United States. There are multiple technologies which are used to pump water from the source to its final destination. The food supply would be imperiled as well. What do crops need to grow? With hydroelectric power gone, where would the water come from for many food-growing regions in the country? Our food supplies would dry up and disappear, thus exacerbating the threat. Most people will perish within 30 days of famine, thus, making water shortages the greatest threat to survival. Remember, the Naval War College projections which tell us that within two years of the event, 90% of all Americans would be dead. In the video below, Congressman Franks predicts a 60% mortality rate. The fact remains that nobody knows for certain how many of us would perish. However, it is safe to say that most of us will die. Both Steve Quayle and Doug Hagmann have been warning about the dangers posed by Chinese and Russian troops on our soil. In two years following an EMP attack, with the majority of people dead (see below), there would be no opposition to a Chinese/Russian military occupation for the remaining populace. 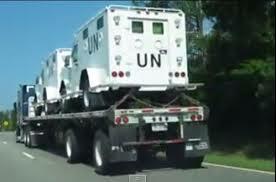 And now we know that the United Nations is gaining a foothold in the border crisis. Can anyone else add 2+2? Who will get us there? An occupation force is being mobilized. What should happen to the responsible parties? 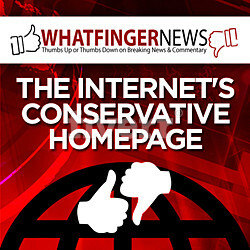 Dave Hodges is the Editor and Host of The Common Sense Show.